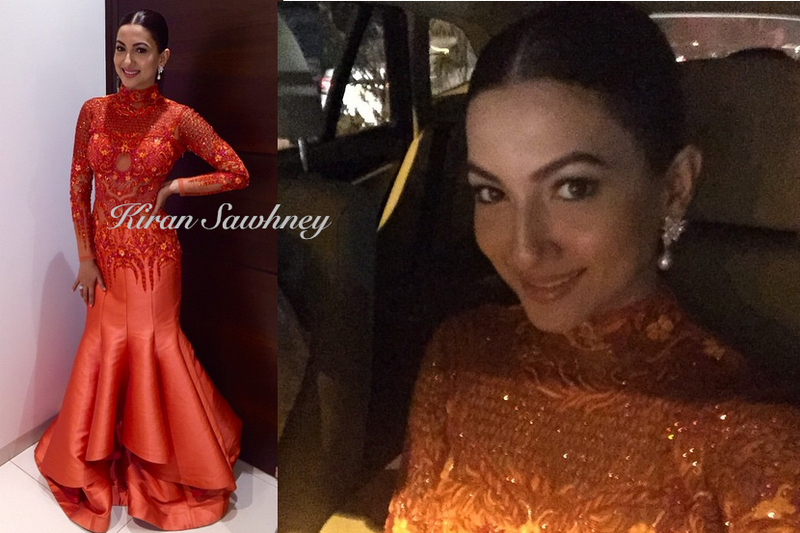 Gauahar attended the Screen Awards 2015, wearing a gown by Anjalee and Arjun Kapoor. The red mermaid flared gown had its upper body heavily embroidered. She teamed it with earrings from jet gems. If the idea was to really make the gown look like a mermaid, then certainly it was successful but for the red carpet, we found it very tacky. It is a bold and fiery color, which has too much going on- embroidery, layers etc. We are not feeling it. What is your opinion? She has broad forehead thus the hairstyle does not suit on her.